The Soviets entered in 1979 with its 40th Army containing some 85,000 men, 180 aircraft and 270 helicopters. The guerrilla fighters fought in groups of 100 to 1000 men armed with weapons that had a range of 300-400 meter. This meant they had to close in on the Soviets. But in September, 1986, the US Stinger ISAM was introduced to selected trained fighters and this was a real threat to the Soviet air force. 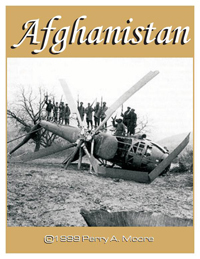 Afghanistan is a grand-tactical simulation of the critical battles that occurred during the Afghan-Soviet war. Players assume the roles of the Soviet commander and Afghan rebel leaders as they struggle in the guerrilla war. Also includes a hypothetical scenario where the US intervenes in the first few days of Soviet invasion.